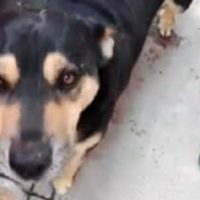 There are plenty of stray pups in Mexico City, and many animal lovers go out of their way to help them by providing them with food every once in a while. 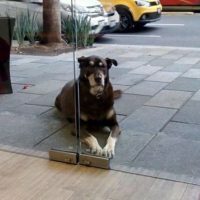 Outside a pizza restaurant in this city, one dog has certainly figured out how to use that system to his advantage. 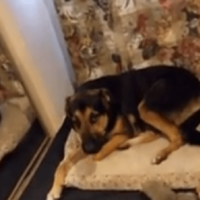 This Adorable Pup Is Guilty – You’ve Got To See What He Has Done! This Is Hilarious! 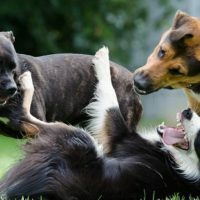 One of the most important things about being a pup parent is knowing that your pup won’t be able to associate your anger and frustration with an action that had already been done in the past. This Adorable And Clever Pup Has Come Up With A New Way To “Buy” Treats! The concept of money is one we assume is only employed by humans, but that doesn’t mean animals don’t barter items or can’t learn the value of the dollar. 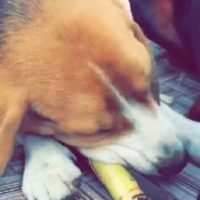 Adorable Pup Gets A Chance To Eat Sugarcane, Now Watch His Enthusiasm! Sugarcane juice is very popular in the tropics, and is known for its sweet taste and cooling properties! It is, however, very labor intensive, as one needs to completely crush the sugarcane to get the juice out of it. But the results are great to have on hot days, as it’s very cooling! The American Kennel Club (AKC) is celebrating another year of dogs as man’s best friend by publishing their annual list of the most popular dogs in the country.